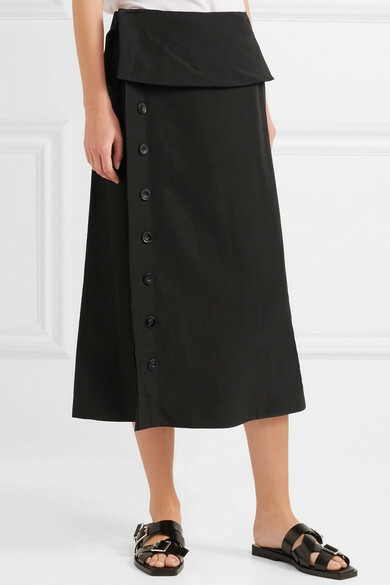 Jil Sander's black skirt will see you through so many days at the office - and for post-work drinks and dinner dates. 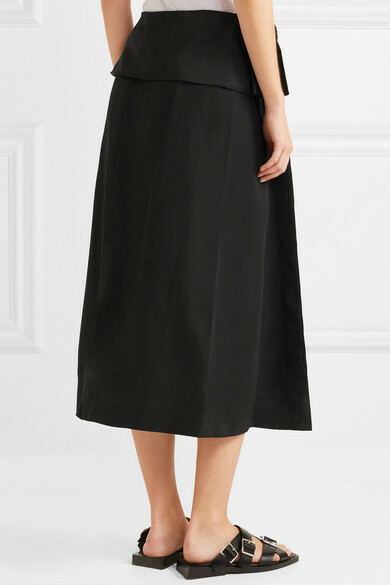 This midi style has been made in Italy from lustrous satin with a touch of linen so it holds a crisp shape. 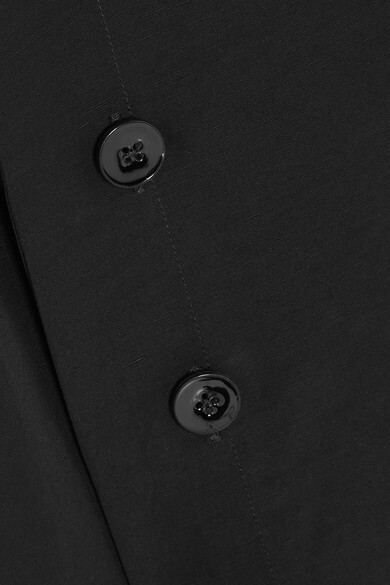 Wear it with a tucked-in shirt or blouse to showcase the sculptural folded waistband. Shown here with: Joseph Shirt, SIMON MILLER Clutch, Jil Sander Sandals, Joseph Necklace.